Born in a dangerous area of Afghanistan controlled by the Taliban, violence and intimidation prevent girls from attending school. Shamayel’s parents believed deeply in the value of education and enrolled their seven children in private underground schools. Sadly, the Taliban found out and murdered her father, sending the family into isolation and poverty. Within months, her mother died from a heart attack. 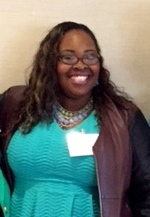 Shamayel stepped into her parents’ role as provider and head-of-household for her six younger siblings. She also tried to continue her mother’s work in “Afghan Women and Children Capacity Building,” making women’s healthcare and education a top priority. When the Taliban threatened to murder the rest of the family, Shamayel knew it was time to act. In 2012, the State Department granted asylum for her to move to the United States. Her six younger siblings were left behind in a dangerous situation. Shamayel felt unable to protect them. In 2015, through her efforts, the help of an American friend, and “Survivors of Torture,” they arrived safely here. 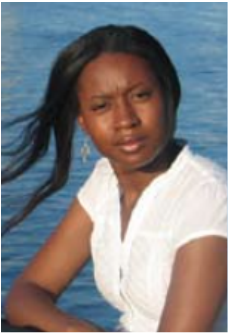 Shamayel is now working and attending college while being the foster care provider for her siblings. In 2018, she’s honored to have earned her U.S. citizenship. Now studying Political Science/International Relations at UCSD, her dream is to work for peace and justice. Chuc Le, a single mother of three elementary children, of which two boys have been diagnosed with autism grew up in a small village in South Vietnam. As one of six siblings, abandoned by their father she graduated from school and left home to reduce the burden on her mother. Immigrated to California ten years ago dreaming of a better life. After marrying and moving to San Diego to be closer to her husband’s family she was unable to work due to her pregnancy. Her marriage spiraled down after the birth of the boys, her husband deserted her and she took on the responsibility of being head of household. Three years ago she enrolled in San Diego Mesa College as a full time student, majoring in Health Information Management. With great effort and perseverance, she has earned a 4.0 GPA and on the Dean’s List three consecutive years. Chuc Le says she hopes to build a life with her newfound education that will allow her the opportunity to provide for her family and contribute to society. The Soroptimist International of La Jolla “Live Your Dream” award will show not only me, but also my children that my efforts are being rewarded and pursuing an education is worthwhile. As a child I thought women earned money the way my Mom did, going in and out of the hotel rooms at all hours of the day and night. Clearly not an environment for a little girl. Entering foster care at age 13 and with 21 different placements, I felt abandonment, neglect, and vulnerability. I met a man who promised me love, something I had always missed. All I had to do was make money for him, I thought, no problem. After many beatings, both physically and mentally I finally found the courage to call the police and was taken to a safer place. Brenda Kimble is the mother of two daughters, a teenager and a toddler. 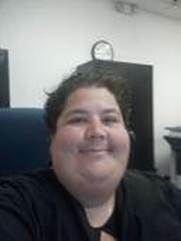 She began military service in 2002, has earned an AS degree and among other medical and administrative positions, served as a Hospital Corpsman and Medical Laboratory Technician. Samantha Romero Green, a native of Panama, has an abounding empathy and strives to combat social injustice and she believes in access to quality mental health treatment for all. 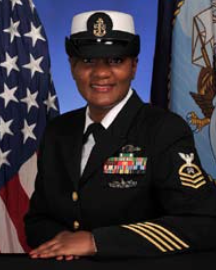 She achieved the rank of Chief Petty Officer after serving 10 years in the U.S. Navy. At the same time she travelled extensively and also raised a young daughter as a single parent. She now supports two children and her mother after graduating from Ashford University with a Sociology degree in June 2013. Supported by the LYD Award, Samantha’s immediate goal is to enroll in USC’s Military Social Work program, earn a master’s degree and eventually become a social worker. The resilience of her mother and her grandmother, combined with her own life experiences motivate Samantha to build a career based on service to underserved populations in diverse communities. Veronica is a sophomore at the Bishop's School, she is a co-founder of All Girls STEM Society: www.allgirlsstemsociety.org. Veronica’s interest in STEM was sparked in 6th grade when she volunteered at an event to teach autistic children circuitry with breadboards. 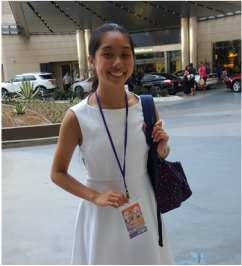 In 2014, Veronica became involved with Math for Service to bring the All-Girls Math Tournament to San Diego. The math tournament’s success inspired her and her friend to launch All Girls STEM Society (AGSS), an organization aiming to provide a fun and encouraging learning platform for young girls to develop interests in STEM. AGSS has already hosted many workshops that have attracted more than 200 girls from 48 schools across San Diego County. She feels that her work for AGSS has given her the power to empower other aspiring girls. After high school, Veronica would like to attend an engineering school to study and research computer science. 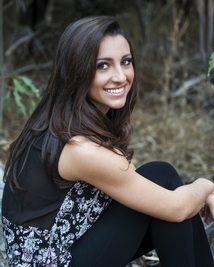 ​Ariana is a junior at La Jolla High School, she is the founder of the Afghan Relief Club. ​I have always been able to describe myself as very assertive, passionate, and motivated. I know what my goals are and possess the unwavering focus to achieve them. In the fall of 2014, I founded the Afghan Relief Club at my school. I have taken part in many charity groups but, because I am Afghan, I felt a personal connection to start this club to not only raise money for girls schools in Afghanistan, but to bring awareness of the civilian life in the region to my peers, an aspect often media fails to portray. I plan on majoring in international relations and women’s studies and hope to get involved with the United Nations with the goal to ensure that girls around the world receive the basic human rights they are entitled to in order for them to progress in the world we live in. 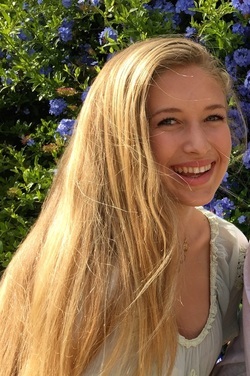 Margaux Kelley is a junior at La Jolla High School and a founding member of BraveCort Foundation. For the past several years Margaux has been working with several foundations to help spread awareness for the fight against pediatric cancer. A founding member of the BraveCort Foundation, Margaux has helped to raise over $50,000 for the cause by gathering support from within the community. This money was applied to another $250,000 research grant that was given to three groups working to develop an early indicator blood test. More importantly, over the last year Margaux has joined Relay for Life, an event hosted by the American Cancer Society. By recruiting high school bands, clubs, and sports teams, Margaux has worked to increase the participation of youth in the battle against cancer. Since the death of her brother to cancer, she has become very motivated to find a cure. Furthermore, she plans to continue her studies and become a pediatric oncologist one day. Winning the LYD scholarship helped me out so much on so many different levels. I was going through a difficult time when I received a letter that I had won. I cried and praised God because it was a total blessing. As the mother of one son, I was able to catch up on some bills, get my car fixed, and buy school books and clothes. To invest in my dream, I paid for a nice webside for my music. My website www.tru7hwas.com is beautiful and professional. I wouldn't have it if I hadn't won. I have shared my journey on social media, where I have about 7000 followers and many asked about Soroptimist. My award hangs high in my living room, and it motivates me when I get discouraged. Thank you ladies so much. Blessings. Hello, my name is Scarlett Lawrence. I am a past recipient of the Live Your Dream Award from Soroptimist International of La Jolla. During my college experience, I balanced college, career, and family among other things. The Live Your Dream Award helped me achieve my dream by helping me get through college because I was able to use the award to help ends meet. And guess what? I’m graduating college with my Bachelor of Business Administration in May 2016, just a few months away. Yay. And the Live Your Dream Award helped me. Words can't express my feelings of gratitude. Thank you very much. Claire Edwards attends The Bishop's School, and just completed her sophomore year this year in June. She is the cofounder of Enriching Young Minds (EYM), a club from her school that supports Toler Elementary, a title one elementary school, through after school visits and donation drives. Motivated by the Bishop’s sophomore fall retreats, where each student chose a San Diego organization to volunteer at for three days, She worked with classmates to found this club as a continuation of our work at Toler. Our achievements this year include a club visit to Toler to help with the Prime Time after school program, as well as a book drive at our school where we raised over 1,000 books for Toler Elementary School and Nativity Preparatory School. Claire’s overarching plan for the future is to help children of low income families around San Diego receive more attention in terms of health and education, which is why I am so passionate about helping out at locations such as Toler Elementary and The Monarch School. I would like to help change the school experience for children around San Diego who struggle with the basic needs of food, shelter, and safety. By providing books, supplies and food, reading with children during the school day, playing with them after school, and putting on occasional school wide events, I believe that with the fellow members of EYM and as an individual, I can help make a positive difference in the lives of these young children. 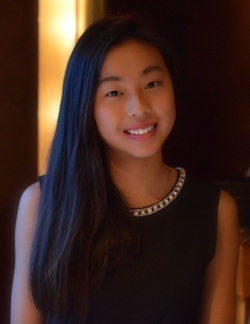 Athena Dong is a student at La Jolla High school, she finished her junior year in June, 2015. She is the co-president and founder of The Water Project, which, as its name suggests, focuses on water, a topic that has been extremely pertinent as of late, whether it involves foreign communities who do not have access to clean drinking water, or the local coastline. Last year, the funds raised by the club aided in the construction of a well in Rwanda. The club also hosts monthly beach clean-ups, trying to focus on holidays so that we can rid our coastal environment of the inevitable amount of trash that collects over the long weekend. In the 2015-16 school year, like many other seniors, Athena will be applying for admission to college. In relation to The Water Project, she hopes that the club will able to contribute to a new well in Uganda. She will be taking an Environmental Science class, which she believes will give her a better perspective on how best to concentrate the efforts of the club when it comes to making an impact on the local environment. Outside of school, she will continue to volunteer at the local library and VA hospital- it is something that she truly enjoys and many people seem to appreciate. Jesse is the mother of two children ages 7 and 13 and has a disabled mother. Jesse is currently attending National University working towards a Bachelor of Science degree in Early Childhood Education Administration. She also works full time in an administrative position in a Headstart Preschool Program. Due to physical disabilities, she has gone through life having to overcome stereotypes and has had to prove her abilities even more so than a typical looking woman. One of Jesse's references said "She is the first to lend a hand, feed an empty belly and offer a shoulder to lean on. I am thankful for Ms. Kuneff for all her wisdom, kindness and helpful nature. She is a shining example to our agency of being a success story." Paramdeep is the mother of two children and is currently a student at San Diego Miramar College and intends to transfer to a 4 year program. She wants to become a teacher and/or work with children. Recently separated, Paramdeep realized that her lack of formal education was a roadblock to her being able to provide a better future for herself and her children. One of Paramdeep's references said "Paramdeep is very much a people person. She has an affinity with kids and has chosen an educational path that will lead to a career where her passion and heart is. Her dedication to her education and her ability to handle the challenges in her life with a positive outlook make her a perfect candidate for this award." Throughout high school, Jenna Nastrini, a Senior at Cathedral Catholic High School has been actively involved with Build A Miracle. BAM is a grass roots non-profit organization based in Scripps Ranch that has built over 170 homes for extremely needy families in Tijuana. In 2013, Jenna singlehandedly raised over $14,000 to both build and furnish a three bedroom home for a family of seven that had been previously living in extremely dire conditions. Jenna started the fund with $1,000 of her own money that she earned teaching dance to young girls. She then received over 60 donations from family, friends, teachers, neighbors, coaches and classmates. Previously living in a one-room makeshift shack with no doors, warm water, plumbing and a dirt floor, the Vasquez family now sleeps in a safe, warm, furnished three-bedroom home. Prior to November 17, 2013, none of the Vasquez children had ever slept in their own bed or taken a shower. They used an outdoor hose. "Their wildest dream became a reality thanks to the kindness and support of so many people that were eager to help", shared Jenna. "This was the most meaningful experience of my life." In her free time Jenna is the captain of the Varsity Dance Team at Cathedral Catholic High School and is also actively involved in the school Campus Ministry program. For more information visit www.buildamiracle.net. In 2013, I won the Live Your Dream Award. It was during a time I didn't have much confidence in my future. Nevertheless, the fact that I was chosen for the award out of so many other applicants gave me the confidence I needed to move forward. Since receiving the award, I have received my certification in counsel- ing, I just completed my degree requirements at Ashford University and will be receiving my BA in Psychology!